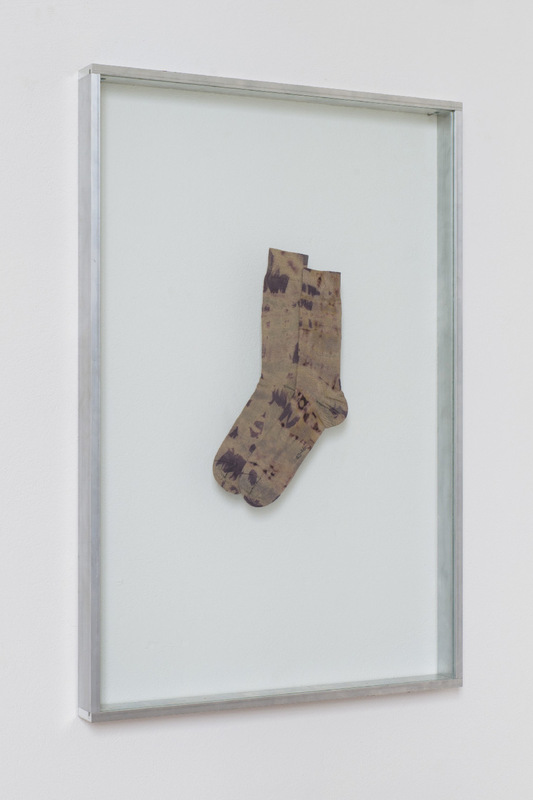 The story of Michael Part's work Untitled (Batik Sox) was translated into an artist text and a new work of art. 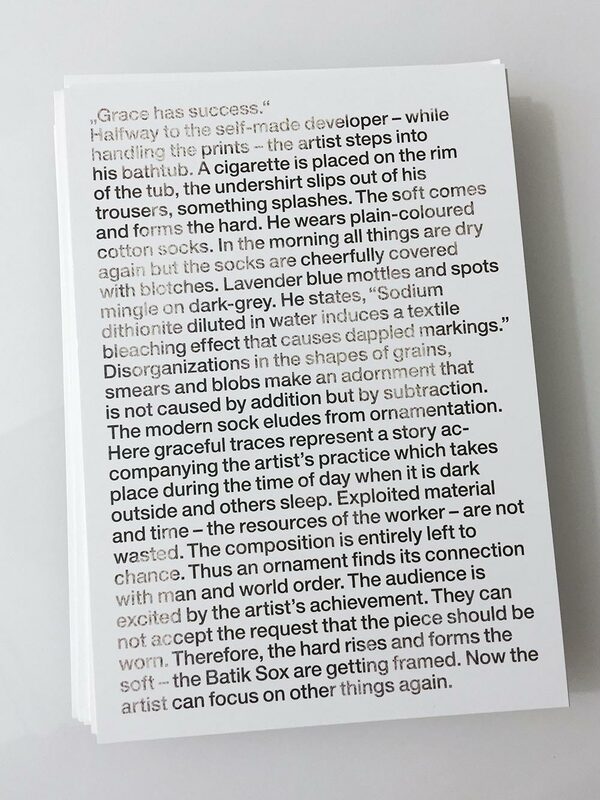 Therefore a photograph of the original sox was placed inside the typography of the text. Cotton treated with sodium dithionite, framed 100 × 70 cm.